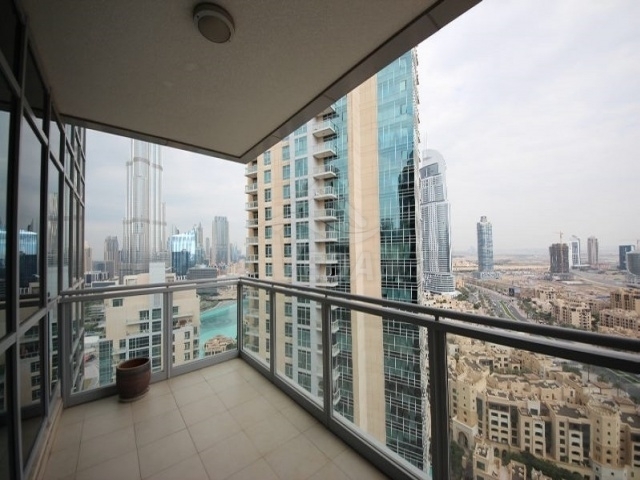 Luxurious 1BR in the heart of Dubai! The Residences are built around the concept of tranquillity and harmonious living. Centrally located in Downtown Dubai, The Residences offer a soothing ambience with spectacular views of Burj Khalifa and The Dubai Fountain. The lifestyle amenities include a swimming pool, squash courts, badminton court, fitness centres, mini-theatre, library, meeting room, day care centre, business centre, and guest suites. Residents are also provided lockers and storage space. With four parking levels, concierge facility and 24-hour maintenance & security, The Residences offer stylish living in the heart of the city. As an integral part of Downtown Dubai, residents become part of one of the most happening lifestyle destinations. They live in close proximity to The Dubai Mall, the worlds largest shopping and entertainment destination. Further retail and leisure choices include Souk Al Bahar, a modern shopping mall which draws inspiration from Arabesque architectural elements. The Residences serves as the home next-door to corporate offices in Downtown Dubais Emaar Square, Boulevard Plaza, The Corporate Suites in Burj Khalifa, The Offices, and Al Saha Offices in The Old Town Island. Residents also have easy access to world-class hospitality Armani Hotel Dubai, the worlds first Armani Hotel located in Burj Khalifa; The Address Downtown Dubai; The Address Dubai Mall; The Palace Downtown Dubai; and Manzil Downtown Dubai and Vida Downtown Dubai. Downtown Dubai offers convenient access to the business nerve-centres of the city including the Dubai International Convention Centre and Dubai International Financial Centre.